Search all Howard County, MD property listings on our easy to use Howard County, Maryland MLS real estate search. Get daily email alerts of new homes, town homes, condos and land for sale as they become available and as prices change. Howard County is located in Central Maryland. It is bordered east and west between Montgomery County, MD and Baltimore County to the West. It shares it's northern bordered with Carroll County and it's southern with Anne Arundel and Prince Georges County. Single family homes for sale in the area range from new to old. There are even a few farm homes for sale in Howard County for those who prefer country living. 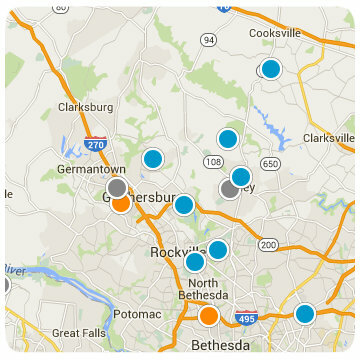 Howard County's centralized location gives the real estate for sale in the area easy access to Baltimore, Washington D.C, and a drive-able commute to the busy 270 corridor, Rockville, Bethesda and Gaithersburg. 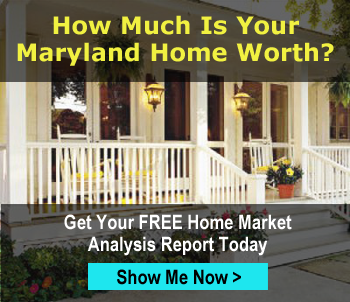 Two of the largest cities in Howard County are Colombia MD and Elicot Eity Maryland. Colombia has a wonderful Mall and Movie Theater at it's center, surrounded by condos for sale. Ellicot City has a host of historical buildings from the civil war. They've been made into homes, antique stores and museums. The property available in Howard County is varied. There are new homes, town homes, condos and single family homes for sale, with land and farms for sale scattered in between. The outdoors are calling. Howard County is home to the Patapsco Valley State Park, Maryland's first state park. It boasts nature centers, a waterfall, and over 100 miles of interconnected paved scenic trails perfect for walkers, runners and cyclists. I didn't even mention the golf courses yet!